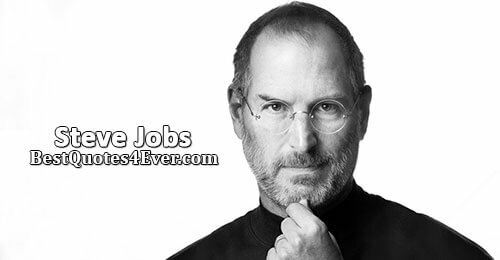 Type: Businessman , Co-founder, Chairman, and CEO of Apple Inc.
Steve Jobs was born on February 24, 1955, in the city of San Francisco. His biological mother was either an unwed graduate student named Joanne Simpson, and his biological father was a political science or mathematics professor, a native Syrian named Abdulfattah John Jandali. Steve Jobs was best known as the co-founder, chairman, and chief executive officer (CEO) of Apple Inc.; CEO and largest shareholder of Pixar Animation Studios; a member of The Walt Disney Company's board of directors following its acquisition of Pixar; and founder, chairman, and CEO of NeXT Inc. Jobs is widely recognized as a pioneer of the microcomputer revolution of the 1970s, along with Apple co-founder Steve Wozniak. Shortly after his death, Jobs's official biographer, Walter Isaacson, described him as the "creative entrepreneur whose passion for perfection and ferocious drive revolutionized six industries: personal computers, animated movies, music, phones, tablet computing, and digital publishing. 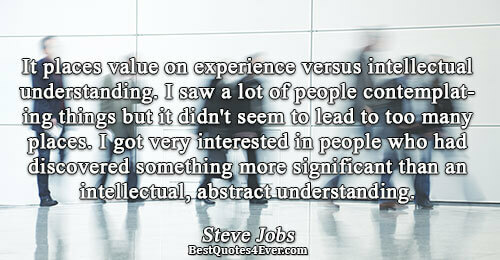 It places value on experience versus intellectual understanding. I saw a lot of people contemplating things but it didn't seem to lead to too many places. I got very interested in people who had discovered something more significant than an intellectual, abstract understanding.